New Jersey Speech Therapy Insurance. "Communication is key", as the saying goes. But for people with speech impairments, communicating can be a real challenge. That's where you come in. Your expertise as a speech therapist, in helping individuals overcome those challenges by improving their speech, is highly regarded. Luckily, New Jersey speech therapy insurance can save the day if you're named in a lawsuit accusing you of wrongdoing. In fact, with adequate insurance in place, you can rest assured knowing that even the steepest legal bills can be covered by your insurance carrier so you can continue focusing on doing your work. New Jersey speech therapy insurance protects your practice from lawsuits with rates as low as $27/mo. Get a fast quote and your certificate of insurance now. As a speech therapist, you've dedicated your career to helping others, and you should be free to focus on your clients without worrying about a threat to your livelihood. With New Jersey speech therapy insurance, you can have peace of mind knowing you're protected in the event of a claim or suit, a grievance from a regulatory board, plus many other coverage benefits. Commercial General Liability - This New Jersey speech therapy insurance protects your firm if you cause injury or property damage to a third party. If a client falls and suffers an injury at your NJ office, your CGL insurance covers direct costs related to the claim (e.g., medical bills) as well as lawsuit-related costs if you are sued. CGL insurance also pays for claims related to advertising liability, slander, libel and copyright infringement. Business Property - NJ business property coverage protects your property in and around your place of business. Many people refer to business property as contents coverage, for it responds when the furniture, computer equipment, inventory and equipment within your office, warehouse or location listed on your policy suffers a covered loss. It is important to maintain enough coverage to replace everything in your location, should you experience a total loss. Umbrella Insurance - This type of New Jersey speech therapy insurance policy doesn't cover everything as many people tend to think. Rather, it is an extension of other insurance policies you have already purchased. It is excess liability above the underlying liability policies and thus extends their coverage. It's mainly used for third party claims to ensure a lawsuit does not put you out of business. 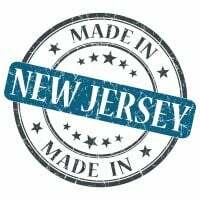 Request a free New Jersey Speech Therapy insurance quote in Asbury Park, Atlantic, Bayonne, Beachwood, Bellmawr, Bergenfield, Bound Brook, Bridgeton, Camden, Carteret, Cliffside Park, Clifton, Collingswood, Dover, Dumont, East Orange, Eatontown, Edgewater, Elizabeth, Elmwood Park, Englewood, Fair Lawn, Fairview, Florham Park, Fort Lee, Franklin Lakes, Freehold, Garfield, Glassboro, Glen Rock, Gloucester, Guttenberg, Hackensack, Haddonfield, Hammonton, Harrison, Hasbrouck Heights, Hawthorne, Highland Park, Hillsdale, Hoboken, Hopatcong, Jersey, Keansburg, Kearny, Kinnelon, Lincoln Park, Linden, Lindenwold, Little Ferry, Lodi, Long Branch, Madison, Manville, Metuchen, Middlesex, Millville, Morristown, New Brunswick, New Milford, New Providence, Newark, North Arlington, North Plainfield, Oakland, Ocean, Palisades Park, Paramus, Passaic, Paterson, Perth Amboy, Phillipsburg, Pine Hill, Plainfield, Pleasantville, Point Pleasant, Pompton Lakes, Princeton, Rahway, Ramsey, Red Bank, Ridgefield Park, Ridgefield, Ridgewood, Ringwood, River Edge, Roselle Park, Roselle, Rutherford, Sayreville, Secaucus, Somers Point, Somerville, South Plainfield, South River, Summit, Tenafly, Tinton Falls, Totowa, Trenton, Union, Ventnor, Vineland, Wallington, Wanaque, West New York, Westfield, Westwood, Woodbury, Woodland Park and all other cities in NJ - The Garden State.